A favorite buy among Polish Pottery enthusiasts. 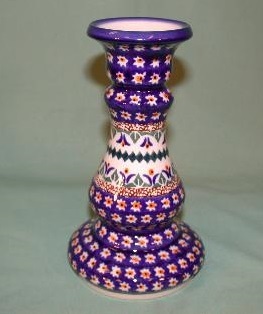 It is an adorable vase and is an excellent example of Polish craftsmanship in color, shape and design. Beautiful things do come in small sizes and this adorable vase can make the difference between the ordinary and extra-ordinary. Measures 5 4 1/4" High. Lead and cadmium free.